The inflatable Event Tents and Event Gazebos Air from Vispronet® are perfect for advertising characterized by their light, rodless design and easy handling. The practical dome tents do not need continuous use of blower . Once filled with air, they remain dimensionally stable during the entire time of use. The tents are completely independent of power and noiseless! Thanks to their compact folded dimensions and low weight, they can be transported easily and inexpensively. Event Tents Air can be used as a gazebo or with tent walls. Individually printed with your motifs, Event Tents Air are the perfect advertising medium for functions, trade fairs or product presentations. The inflatable tent Air is a very practical tent, which is ready for use in a few minutes and which guarantees a great advertising presence that will last a long time. The inflatable tent convinces with easy handling and environmentally efficient use without any structures or constructions to be built up extensively. According to your requirements, you can order your tent with a printed cover showing your brand and advertising messages. Our Online Printer Vispronet® ermödelivers you high-quality tents, inflatable and printabler, a first-class appearance to be in front of customers and employees. The great advantage of our Event Pavilion Air is its power-independent operation. Once inflated, it can be installed almost anywhere. The use of a noise intensive continuous blower is not required. Extend your event equipment with the inflatable tent Air and other Vispronet products ® which guarantee a high-class advertising presence: Inflatable seat stools are suitable for a cosy chat among colleagues as well as inflatable counter a friendly welcome to the guests. The inflatable tent is ready for use in just a few minutes and without the use of extensive tools . For events with frequently changing locations, the inflatable tent Air is the perfect advertising medium. With a small packing size and a low weight of maximum 20 kg (5 x 5 meters) and 10 kg (3 x 3 meters) it is easy to stow away and transport. Any flat ground is suitable for the inflatable tent structure. Lay out the tent in a star shape to inflate. Any vents will be closed. Connect the electric Air pump for the pavilion Air with the appropriate vents to the inflate the dome. After a little while the pavilion will inflate on its own. The breakdown works in a similar way. However, the electric air pump is used to deflate the air. Once all the air has been released, you can easily pack the inflatable event tent in the supplied bag. Alternatively, you can also order a mobile trolley box for the inflatable tent. The thin polyester material of the inflatable event tent is equipped with a water column of up to 2000 mm and UV resistant. It is covered with the flame-retardant Variotex ® and guarantees optimum colour reproduction. We deliver the inflatable tents in different finishes. Zip-lock models allow the additional use of removable walls that can be attached to the Air event tent in just a few simple steps. The inflatable tent is also available with a reinforced seam, to which no additional side walls can be attached. All models can be equipped with an individually printed cover. According to your needs and your intended use of the inflatable event tent, you can print advertising messages on the tent covers and possible side walls. In addition to the possibility of choosing your own photos and logos, we offer you our free graphic tool Visprodesign®, which offers you a variety of templates and designs for high-quality digital printing. Create your inflatable Air event gazebo with a strong message in minutes. Sometimes it may be less obvious. An inflatable gazebo in white offers a dreamlike setting for a wedding. So the most beautiful day in your life can be enjoyed outdoors or on the beach, even under unsafe weather conditions. When you buy the inflatable tent Air from Vispronet®, you cannot do without the necessary accessories. The Air tent comes with a canopy, inflatable rack and a handy carrying bag. Depending on the model, with zipper or with reinforced side seam, we recommend the matching side walls. In addition, we offer you the needed electric air pump and the water weight for inflatable tent for safety-assured securing. The inflatable gazebo must be securely anchored outdoors. Ground pegs and anchorage sets provide special stability for the inflatable tent. In bad weather conditions, we recommend that you deflate the inflatable tent according to instructions. Inflatables are becoming more and more popular. They are quick to assemble and disassemble ,they can be printed individually and the banners can be replaced quickly if required. Take a look at our online shop and discover a wide range of products for your next promotional campaign. Inflatable advertising products real eye-catcher and will make your event special. If you buy a Bowflag® buy, you can be sure that your company will be seend from a distance. Whether at sports events or catering events, if you buy a star tent, you are guaranteed to catch curious looks! 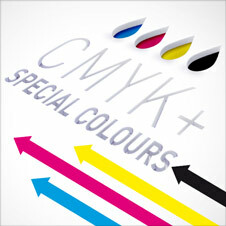 Vispronet® is specialised in high-quality advertising printing. In our in-house production facility we realise the needs of our customers in high-quality printing processes. If you have any questions about our extensive product range, our employees are at your disposal by telephone or by e-mail.